Mercury Reader is a Chrome extension that makes websites and articles easier for students to read. This extension strips away ads which can be distraction and it pulls the information from an article into one simple and easy to read document. Images will still appear in the new version and hyperlinks will still work just as they did in the original article. 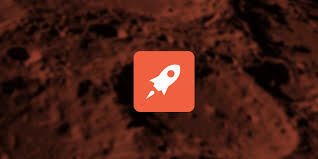 Mercury Reader allows the user to change the size of the text, adjust the font, and select either a light or dark theme. There is also an option to send the text to a Kindle. This app is very useful for students (or anyone) who is easily distracted, need to enlarge text, or who might have a preference for light or dark backgrounds. 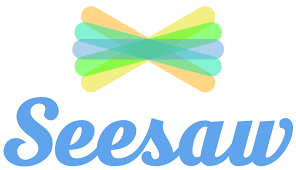 SeeSaw released some great new features at ISTE back in June and they are at it again! SeeSaw is a digital portfolio which provides students with a platform to share their work. Over the last year, there was an increase in the number of teachers using SeeSaw to distribute assignments to students and then collect those assignments from students. To help make this process easier, SeeSaw has launched several new and exciting features. Activities- Teachers can create their own activities or select grade-level specific assignments from the SeeSaw library. Teachers also have the option of sharing their activities to a school-specific library so other teachers in their school can have access to them. Simplify workflow- Differentiate lessons by sharing lessons with the entire class or with just a few students. Students can select from a number of tools to show what they know and all responses will appear on a single page. Save time- It is possible to share activities between classes and reuse activities from one year to the next. CheckMark is a brand new an extension that was developed to help make it easier for teachers to provide feedback to students in Google Docs. Once you add the extension, all you do is highlight where there is an issue and select one of the nearly three dozen canned comments. These comments include the most common mistakes such as capitalization, tense, rephrase, and subject/verb agreement. This extension will save teachers lots of time. Students could also use this extension to provide feedback to their peers or teachers could provide students with a Doc that has mistakes in it and have students use this extension to locate all of the mistakes. Click here to see a demo of how CheckMark works.